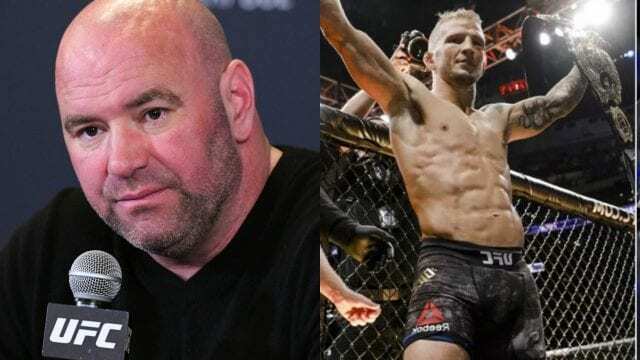 Dana White is “shocked” that USADA didn’t catch former UFC bantamweight champion TJ Dillashaw using EPO earlier. The UFC President isn’t happy with Dillashaw or USADA over this situation. Dillashaw accepted a two-year suspension from the U.S. Anti-Doping Agency (USADA) earlier this week. Dillashaw was caught with EPO in his system and is ineligible to compete until January 2021. 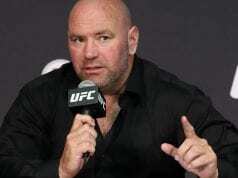 White talked about his reaction to the news following the UFC 236 weigh-ins from the State Farm Arena in Atlanta, Georgia. This is where the UFC boss noted that he was shocked that USADA didn’t catch it earlier due to the fact that they don’t test for EPO every single time. “What shocked me is what I’m paying USADA and that, that didn’t get caught earlier,” White said (H/T to MMAWeekly). “That’s what shocked me. I know [Jeff] Novitzky came out and explained it. He knows better than I do, but still, there’s no excuse for that, in my opinion.